Meg's Food! 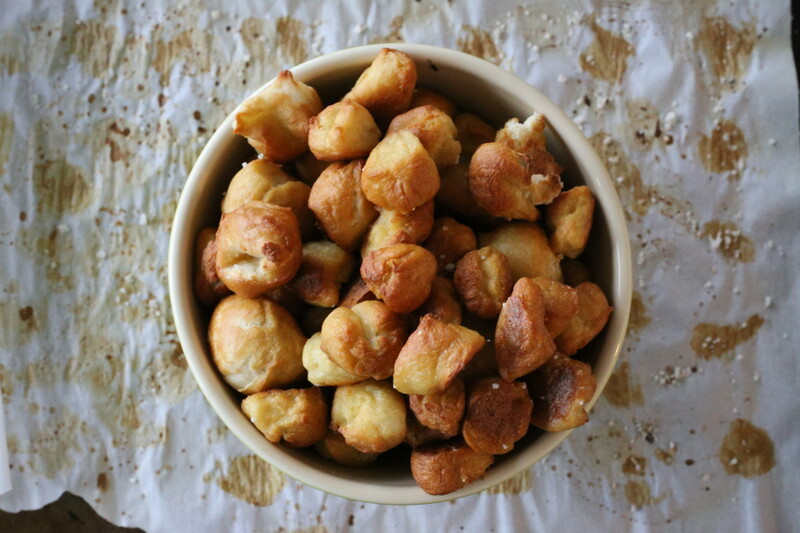 | Vegan Pretzel Bites - Meg's Food! Aren’t bite sized versions of things so cute? I made these for a girls night and they’re PERFECT. I’m pretty obsessed with my pretzel recipe, and make them pretty often, but sometimes you don’t want to eat a giant pretzel. You want to eat many many small ones! 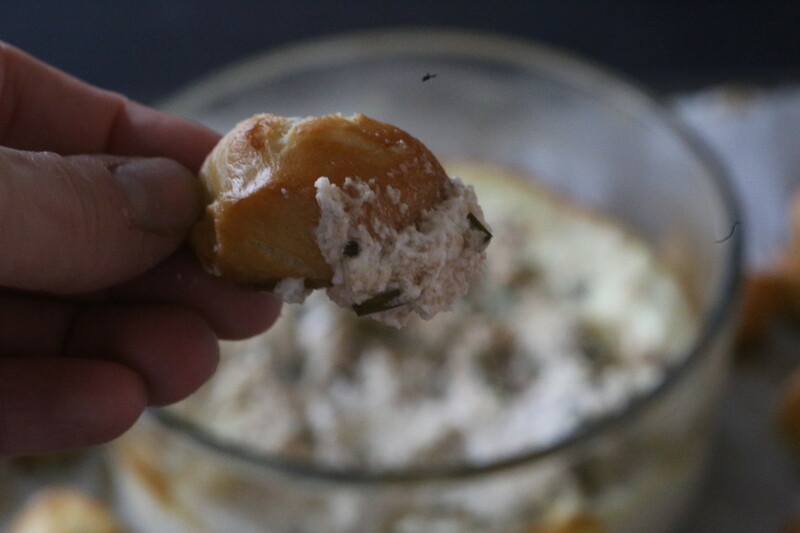 Start by proofing the yeast: in a small bowl, combine 1/2 cup warm (but not hot!) water, maple syrup, and yeast. Let sit about 5 minutes – if the yeast hasn’t started to expand and bubble a bit, it’s dead – start over with new yeast. 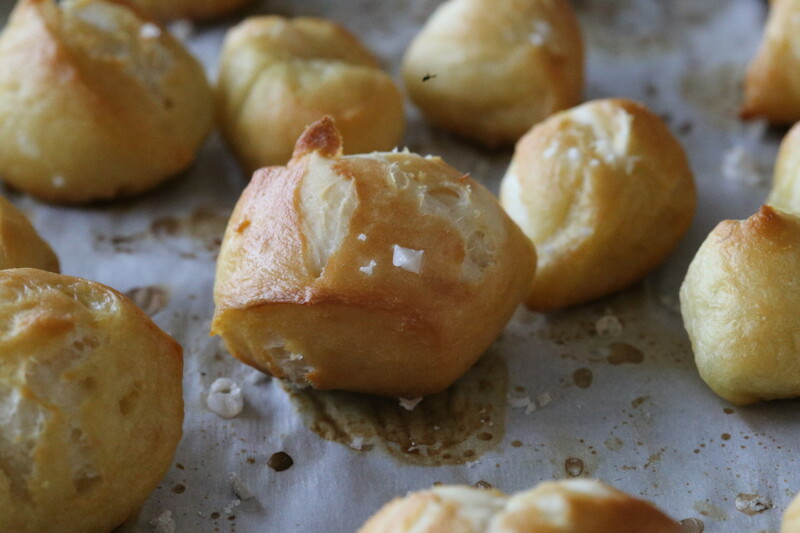 In the bowl of a stand mixer, combine proofed yeast, flour, remaining 1 cup of water, oil, and salt. Beat with a dough hook for about 5 minutes, until dough is smooth and holding together (alternatively, knead all ingredients together by hand for about 8 minutes). Transfer dough to a large, lightly oiled bowl and cover with plastic wrap. Place bowl in a nice, cozy warm spot and let rise until doubled in size, about 45 minutes. 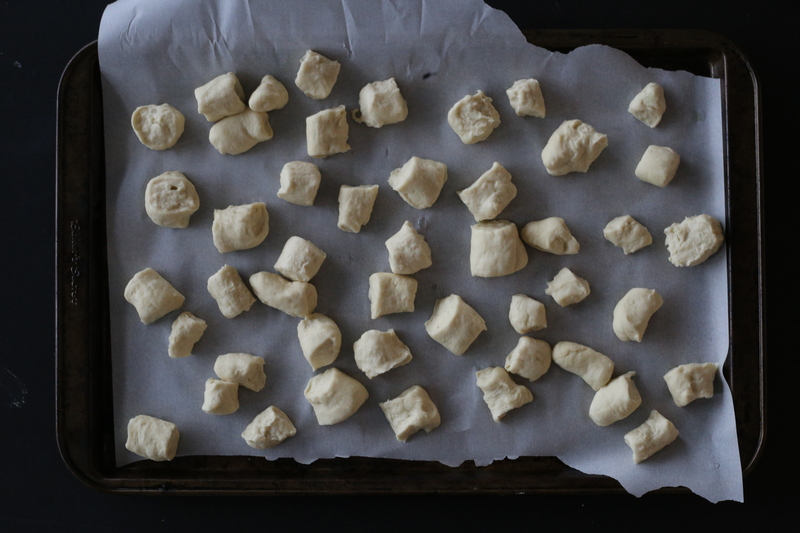 Preheat oven to 400 and line 2 baking sheets with parchment paper. Bring 10 cups water to a boil and stir in baking soda. Divide dough into 12 and roll out each portion to about 12-18 inches long. Cut into bite sized pieces. 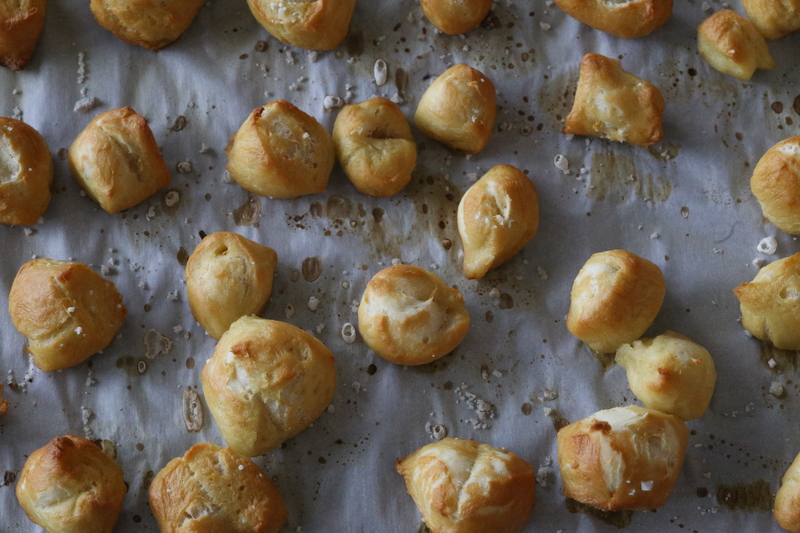 Transfer each pretzel bite to the boiling water and boil 30 seconds – they should sink to the bottom of the pot and then float to the top. Transfer to baking sheet using a slotted spoon. 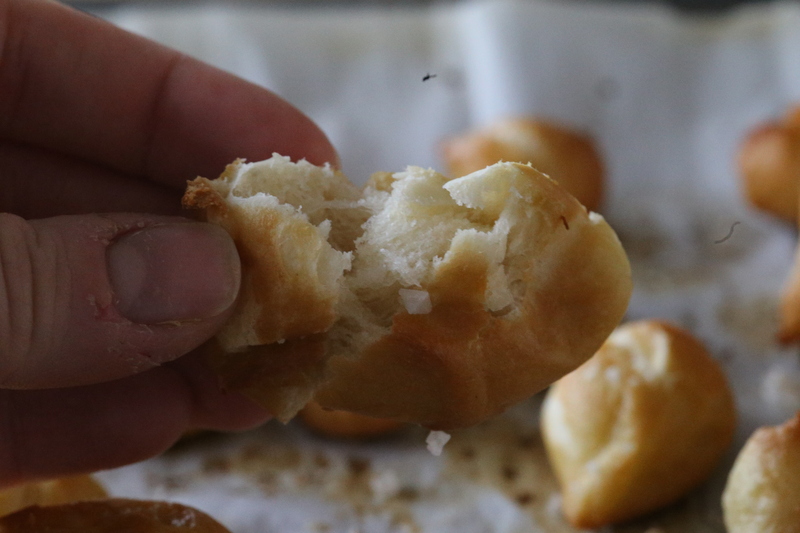 Sprinkle with salt, and using a sharp knife, make a slit in the bottom of each pretzel (see picture below) – this will open while they bake and make them gorgeous. Bake about 14 minutes, but watch them carefully. Remove when tops are nice and golden. 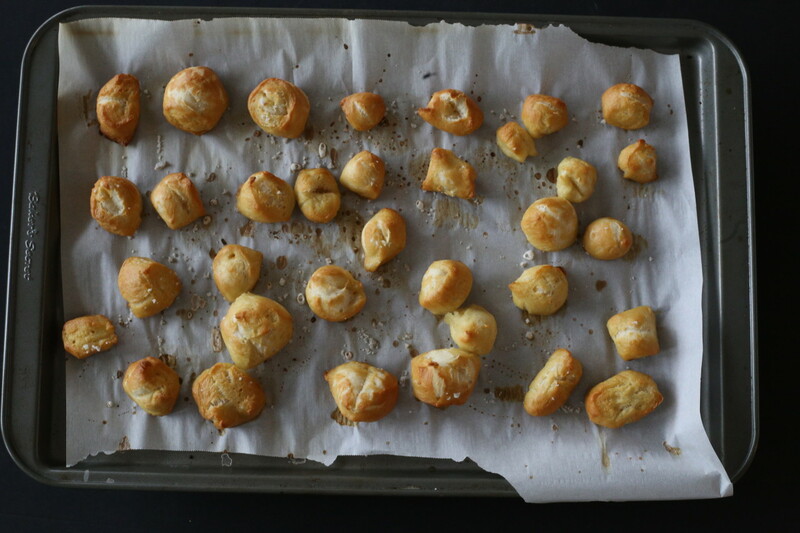 This entry was posted in Recipes, Snack and tagged appetizer, pretzels, snack, vegan. Bookmark the permalink.